The Insurance Information Institute recommends that you call your agent or insurance company immediately after a disaster. You need to determine whether the damage to your home is covered under your policy, how much time you have until you must file a claim, and how long it will take to process the claim. You might want to talk about your deductible, too. If your home is destroyed by a natural disaster, the costs of rebuilding will certainly exceed your deductible. But remember that you'll have to pay your deductible amount first. If you have a deductible of $1,000, you'll have to pay that amount before your insurer starts kicking in its payments to help you rebuild your home. Hopefully you understood the amount of coverage your homeowners insurance policy provided when you signed it. But if you've since forgotten, make sure to ask your insurance agent how much coverage you can expect to rebuild. Some policies provide what is known as replacement-cost coverage. This means that your insurer will pay the current value of a damaged or destroyed item even if you've owned that item for several years. Say your home's furnace is destroyed, for example. A replacement-cost policy will cover the cost of that furnace today, even if you bought it 10 years ago. An actual-cost policy isn't quite as good. Under such a policy, your insurer will pay for only a portion of the replacement costs of a new furnace because your 10-year-old furnace isn't worth as much as a new one. 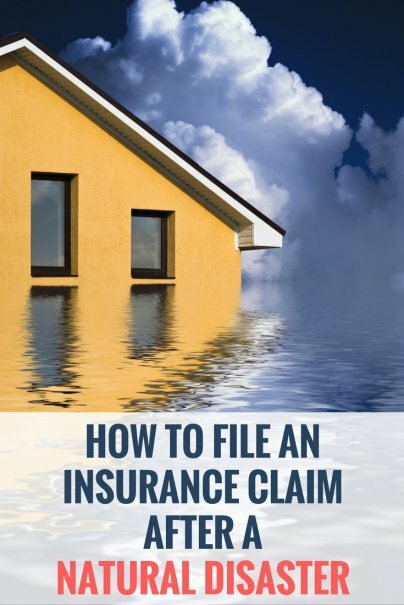 The Insurance Information Institute also recommends that homeowners, once they set the claims process in motion, take reasonable steps to prevent further damage to their property. You might, for instance, pump water out of your home's basement. Or maybe you can cover or board up broken windows. Just be careful not to make more extensive permanent repairs. The temporary work you do — such as boarding up windows or doors — will be covered by your insurance company, if you provide receipts of this work. But hiring a contractor to make more extensive repairs before getting the OK from your insurer is a mistake; the odds are this work won't be covered. If you have to move your family into temporary shelter such as a hotel, be sure to keep receipts. Your homeowners insurance policy will cover the costs of these additional living expenses if your home is destroyed. But you need to keep a record of what you're spending if you want to receive full coverage. Your insurance company will send an adjuster to your home to determine the damage and the costs of rebuilding. Your insurer might also send you a proof-of-loss form to fill out, either before the adjuster shows up or after. You'll use this form to list all of the items that were damaged or destroyed by the natural disaster. You should also gather any receipts you have for the items that were destroyed. You'll give this sheet to your insurance company's adjuster. It's also smart to take photos of damaged or destroyed items. These images can provide more evidence to adjusters looking to determine how much money is needed to rebuild your life. Do not throw away damaged or destroyed items until after the adjuster's visit. It helps for them to see the damage in person. List individual damages such as cracked walls, lost roof tiles, damaged electrical systems, broken windows, and demolished chimneys. Again, the more information you can provide to an adjuster about the specific damage to your home, the more compensation you are likely to receive. If a natural disaster hits your area, be aware that it might take insurance companies longer to process claims and sign proof-of-loss statements with homeowners. To avoid further delays, make sure to answer any questions that your insurance company has as quickly as possible. If your insurance company needs a document, send it as quickly as possible. Any delay on your end will only lengthen your wait for payment. In these times, you might not feel up to dealing with insurance process, but the longer you delay, the longer it'll be before you can start rebuilding. It must be done, so try to find a way to get it done now.